When most people think about solid waste management, they think about garbage being dumped in landfills or incinerated. 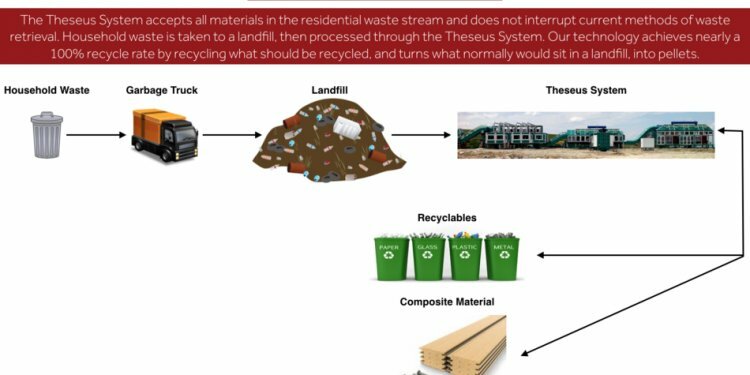 A variety of elements is involved in the creation of an optimal integrated solid waste management (ISWM) system. For example, treatment techniques act to reduce the volume and toxicity of solid waste, transforming it into a more convenient form for disposal. Waste treatment and disposal methods are selected and used based on the form, composition, and quantity of waste materials. Incineration is one of the most common waste treatments. This approach involves the combustion of waste material in the presence of oxygen. The combustion process converts wastes into ash, flue, gas, water vapor, and carbon dioxide. This thermal treatment method is commonly used as a means of recovering energy for electricity or heating. This approach has several advantages. It quickly reduces waste volume, lessens transportation costs and decreases harmful greenhouse gas emissions. Gasification and Pyrolysis are two similar methods, both of which decompose organic waste materials by exposing waste to low amounts of oxygen and very high temperature. Pyrolysis uses absolutely no oxygen while gasification allows a very low amount of oxygen in the process. Gasification is more advantageous as it allows the burning process recover energy without causing air pollution. Open Burning is a legacy thermal waste treatment that is environmentally harmful. The incinerators used in such process have no pollution control devices. They release substances such as hexachlorobenzene, dioxins, carbon monoxide, particulate matter, volatile organic compounds, polycyclic aromatic compounds, and ash. Unfortunately, this method is still practiced by many local authorities internationally, as it offers an inexpensive solution to solid waste. Sanitary landfills provide the most commonly used waste disposal solution. These landfills are desired to eliminate or reduce the risk of environmental or public health hazards due to waste disposal. These sites are situated where land features work as natural buffers between the environment and the landfill. For instance, the landfill area can be comprised of clay soil which is quite resistant to hazardous wastes or is characterized by an absence of surface water bodies or a low water table, preventing the risk of water pollution. The use of sanitary landfills presents the least health and environmental risk, but the cost of establishing such landfills is comparatively higher than other waste disposal methods. Controlled dumps are more or less the same as sanitary landfills. These dumps comply with many of the requirements for being a sanitary landfill but may lack one or two. Such dumps may have a well-planned capacity but no cell-planning. There may be no or partial gas management, basic record keeping, or regular cover. Bioreactor landfills are the result of recent technological research. These landfills use superior microbiological processes to speed up waste decomposition. The controlling feature is the continuous addition of liquid to sustain optimal moisture for microbial digestion. The liquid is added by re-circulating the landfill leachate. When the amount of leachate is not adequate, liquid waste such as sewage sludge is used. Composting is another most frequently used waste disposal or treatment method which is the controlled aerobic decomposition of organic waste materials by the action of small invertebrates and microorganisms. The most common composting techniques include static pile composting, vermin-composting, windrow composting and in-vessel composting. Anaerobic Digestion also uses biological processes to decompose organic materials. Anaerobic Digestion, however, uses an oxygen and bacteria-free environment to decompose the waste material where composting must have air to enable the growth of microbes. What is the Meaning of Waste Disposal?